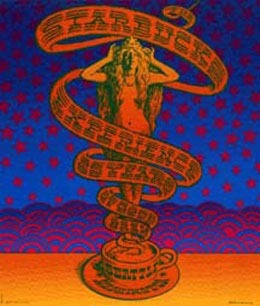 Here are some posters from Moscoso's more recent work. NOTE: there is a minimum order of $500US. 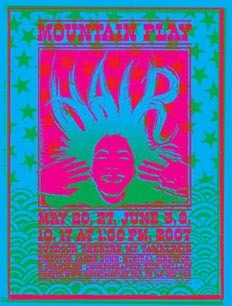 Marin County Mountain Play, Hair Poster for the 2007 Marin County Mountain Play, Hair. 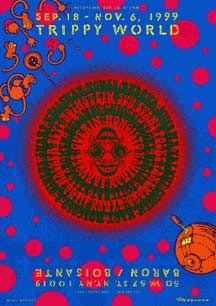 Trippy World A nice image for a poster show in 1999.